Sixty six AEON branch schools are located within the Shutoken Region, with their Head Office being located in Shinjuku, Tokyo. These branch schools are concentrated mainly in Tokyo metropolitan area, which is made up of Tokyo, Kanagawa and Chiba prefectures. The Shutoken Region is a highly populated area encompassing the two largest cities in Japan – Tokyo and Yokohama – as well as the surrounding areas. While Tokyo and Yokohama have a definite “big city” feel, many of the smaller cities, particularly in eastern Chiba and southern Kanagawa, will have a more suburban atmosphere. This area experiences mild winters with hot and humid summers. Temperatures in winter don’t usually drop below 0 °C (32 °F) and snowfall is infrequent. Temperatures in the summer months typically climb into the lower 30s °C (85-95 °F). Students attending AEON schools in this area vary from busy professionals, to university students planning to study abroad, to retirees looking to maintain their English levels. We have students of all English levels and abilities, from beginners just starting out to those approaching a native-speaker level of English. Almost all schools in the Shutoken Region offer lessons for children, with students ranging from babies to junior high school students. Daytime classes typically consist of children’s lessons and private lessons, while the evening lessons are largely attended by businesspeople and professionals. Teachers in this region have the opportunity to meet and teach many types of students. 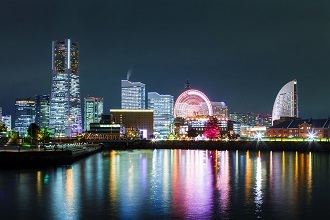 Outside of work, the Tokyo metropolitan area has much to offer in the way of entertainment – endless shopping, thousands of restaurants, amusement parks, museums, theaters, stadiums, and more. Just about any kind of food is available in the metropolitan area, with restaurants serving dishes from across the globe. Famous sites such as the Tokyo Sky Tree, Tokyo Tower, Disneyland and Disney Sea, the Ueno Zoo, multiple aquariums, and shopping districts such as Shibuya and Ginza draw millions of tourists from within Japan and around the world. For regular, year-round entertainment, there are hundreds of museums and theaters of all types located within the metropolitan area. 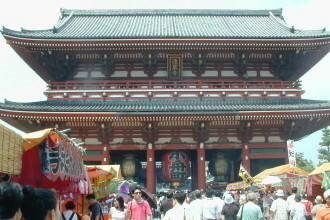 During the summer, this area joins the rest of Japan in celebrating with seasonal festivals. Hiratsuka holds their famous Tanabata Festival in July, and the Sumida River Fireworks Festival is held every August. Summer Sonic, a multi-day music festival, is also an annual summer event. Summer is also a great time to take advantage of the beaches along the coast, which are popular with surfers. Low mountains in Kanagawa and Eastern Tokyo offer easy hikes and beautiful views, not to mention a great escape from the busy city. There are numerous options for those interested in exploring Japanese culture. Visitors and residents alike enjoy the multitude of historical sites, the most famous of which are the temple area of Asakusa, the Imperial Palace, Meiji Shrine, the old capital city of Kamakura, and Odawara Castle. The Tokyo metropolitan area also boasts a number of regional specialties such as monjayaki, a Tokyo dish famous throughout Japan. The delicious and fun-to-make dish originated in the Tsukishima area of Tokyo. Monjayaki consists of many different ingredients of one’s liking (usually including cabbage, pork and cheese) which are finally chopped and mixed into a thin batter before being cooked on a hot surface. 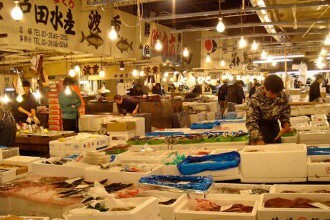 Tokyo is also home to the Tsukiji Fish Market and its dozens of sushi shops serving some of the freshest, highest quality seafood in the world. Yokohama Chinatown is also big draw for food connoisseurs, with everything from street stalls offering cheap eats to 5-star restaurants featuring world-class Chinese cuisine. 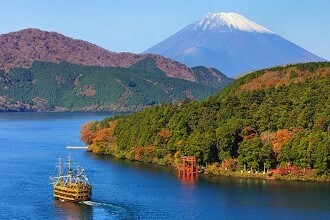 Whether one is interested in traditional Japan or exploring contemporary Japanese culture, the Shutoken Region offers something for everyone! Click for more information about certain school locations in the Shutoken region and comments from our teachers.